Newbury and District is a self funding branch of Cats Protection and has to find over £125,000 a year to fund the work of the Adoption Centre. If you wish to support us there are many ways in which you could help. Lola - Came to us in 2007. She had been found as a stray and was suffering from Epilepsy. She was incontinent too. Added to that, she couldn't be handled; she wasn't aggressive, she just didn't understand and got very panicky. Her future didn't look bright. She is such a sweet little girl that likes to follow a routine, so we made the decision to give her a home with us where she could lead a happy stress free life. You can often find her playing with a blade of grass, or a fleck of something on the floor! For £6/year or £4/year for senior citizens and junior members you can join our membership scheme. We will keep you up to date with events and stories with our regular local magazine The Cat Flap. If you would like to become a member please click here to download an application form. Why not help us by joining our Weekly Lottery? 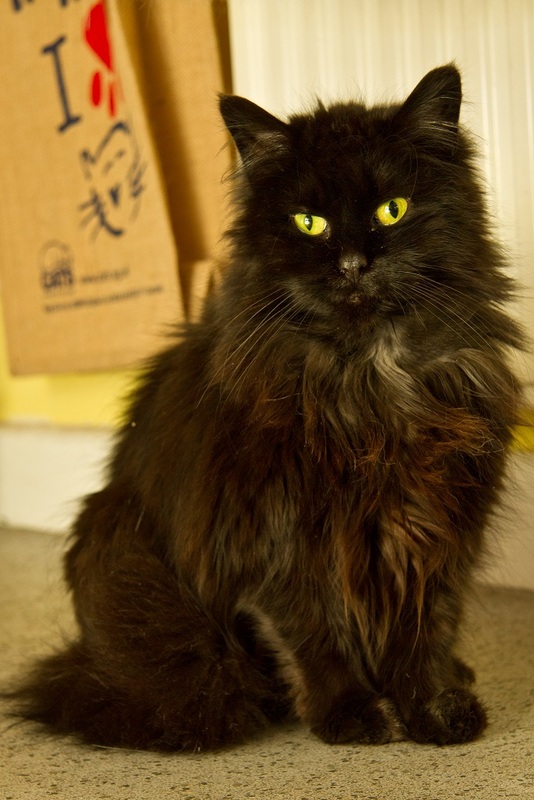 To join online, please visit http://www.cats.org.uk/get-involved/support-us/lottery - Don’t forget to tick “I would like my payments to go towards supporting a centre of my choice” - and select Newbury Adoption Centre! You can also enter by calling our Weekly Lottery Helpline on 01628 825 928 or download our lottery form and post to: Freepost RTJY-JUCB-AATE, Cats Protection, and P.O Box 1127, MAIDENHEAD, SL6 3LN. – Please don’t forget to write somewhere on the form that you would like the proceeds to go to Newbury Adoption Centre. Click here for full terms and conditions. Why not challenge yourself by taking part in an exciting event while raising money to helps the UK's cats and kittens? We always need help in organising and helping at fund raising events. These events are vital to our survival. If you are interested please ring the Adoption Centre on 01635 200 111 or email us at newbury@cats.org.uk for further details. By leaving a gift in your will, you will be helping us keep the special promise that underpins all of our vital work: that we will never put a healthy cat to sleep. Click here to find out more. We also collect used stamps, foreign coins & notes, used cartridges and old mobile phones (even if broken) which we use to raise funds.